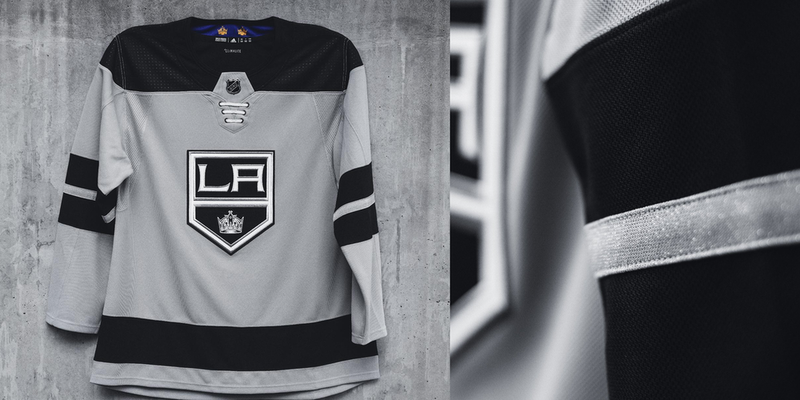 Following the Icethetics leak earlier this month, the Los Angeles Kings revealed their new third jersey to fans on Friday morning. It’s official now. The grey is coming back. 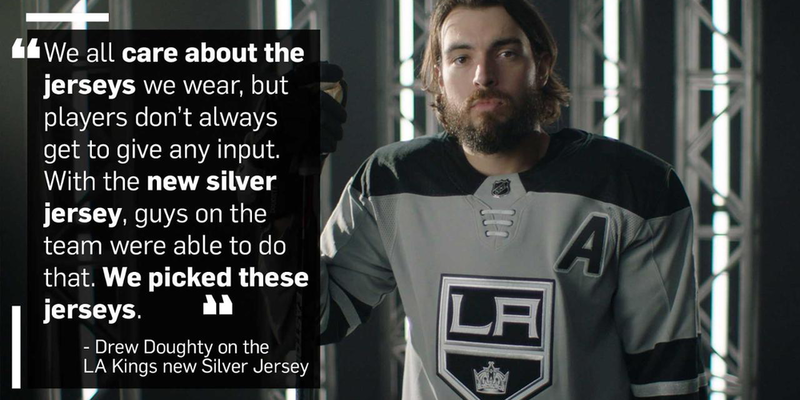 The Kings debuted a grey third jersey — with gold trim — in 2016-17 as part of their 50th anniversary celebration. That jersey has essentially been brought back as an Adizero sweater minus the gold trim and with a new feature of its own. The new element can’t be seen when the jersey is being worn. Check out the collar for the new hanger effect. The old jersey had five gold diamonds over purple (also known as Forum Blue) to signify five decades of hockey. 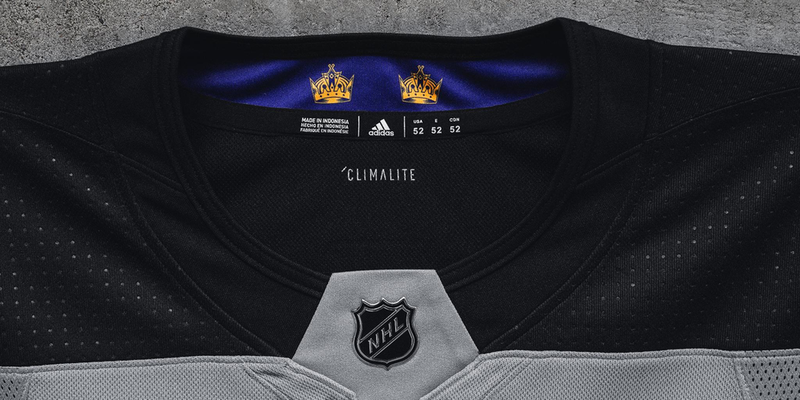 This design keeps the same retro colors but swaps the diamonds for two crowns commemorating the club’s two Stanley Cup championships in 2012 and 2014. Not to be mean, but it doesn’t seem like there will be a need to add any extra crowns anytime soon. Anyway, they grey jersey has gotten mixed reaction since its 2016 debut. The retro purple and gold designs have definitely been more popular with fans. But as I’ve always said, I think this is the right way to do a third jersey — a third color with a unique design. Save the straight throwback jerseys for special games. The only thing I’d change about this jersey is the crest. It’s not exactly the most creative logo in the NHL. Do we really need to see it on three sweaters? Maybe bring back the crown for the grey jersey like they did with the 2014 Stadium Series. Or — here’s a crazy thought — something new entirely. That’s a tougher ask in today’s NHL, though. Only the Hurricanes, Islanders and Jets — maybe the Blue Jackets depending on how you look at it — have a crest that’s unique to their third jersey. The rest are all versions of logos used on past or present primary uniforms. All right, before I go off on a tangent here I’ll wrap up. They also announced it’ll be worn two more times for road games in late December but did not specify dates. If I had to guess, based on their schedule I’d say the games in San Jose and Las Vegas on Dec. 22 and 23 are good possibilities. But they also have a game in Denver on New Year’s Eve.